ERNIE C SALGADO JR CEO RESUME BIO CV Luiseno Native American Indian Newspaper Editor Soboba Band of Luiseño Indians Ernie Salgado Hemet Calif.
Ernie C. Salgado, Jr., Chief Executive Officer of Apapas Development Company, has actively championed American Indian rights, traditional family values and tribal education in Southern California's Indian country for more than 50 years. 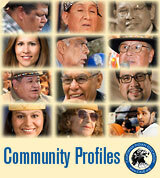 Headquartered on the Soboba Indian Reservation, Apapas Development Co. is a privately-owned Native American company specializing in professional consulting services, including effective communications for government-to-government cultural relations and effective marketing strategies for print and Internet. To assist Tribal governments and American Indian community-based organizations with the expertise to develop critical management skills, long term sustainable educational goals, and realistic economic development business ventures. Ernie C. Salgado, Jr., M.B.A. Founded "The American Indian Reporter" (AIR) in 2018. The full-color printed tribal newspaper, monthly circulation 10,000, is the only tribal-produced newspaper dedicated to serving the 31 Indian reservations located in Southern California. Its editors, photographers and journalists specialize in publishing today's local and national breaking news in Indian country, OP-ED, community-based feature stories and niche advertising. AIR BACK ISSUES DOWNLOADS PDF. Founded "Soboba Indian Reporter" in 2015 and has written and published dozens of his original news, feature and opinion articles. Access this body of work from his on-line digital PDF downloads archive of "Federation Indian Reporter" back issues. 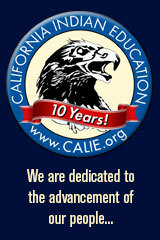 In 2008, founded, developed and manages www.calie.org. Website received over 225 MILLION Hits to date (Feb. 2018). Calie.org website receives about 300,000 Page Views per month. The word “Ahmium” means Children in the Luiseño Indian language. Ahmium was one of the first of the eleven Indian Education Centers established in California in 1975. For 40-years — from 1975 to 2015 — held the position of Executive Director for Ahmium Education, Inc., a Tribal 501(c)(3) non-profit corporation. The organization provided educational and recreational services for the Tribes located in Southern California. The services included Family Literacy, Early Head Start for 0-3 years of age that included the Parents-As-Teachers (PAT) curriculum, Tutorial Services for American Indian students in grades K-12. Ahmium administered the BIA Higher Education and Career Development Funds for Southern California. SAMSHA awarded Ahmium a five-year, $6.5 million grant to curb substance abuse on Indian reservations located in Riverside and San Diego Counties. Some of the most successful outcomes of the project were the restoration of the Bird Singers, Rez Ball, Warriors Against Drugs, the Gathering of Native Americans (GONA) curriculum that was modified by Ahmium to meet the specific needs of the area and approved by SAMSHA. • Currently editor and publisher of the Soboba Indian Reporter and American Indian Reporter, monthly printed publications targeting the local American Indian tribal population. • CEO and editor of CALIE.org, the world’s number one American Indian community website. Supporting websites in the network include APAPAS.com and THEINDIANREPORTER.com. • Extensive experience with the Tribal TANF Program. Developed Policies & Procedures Manual, Educational Programs, Accounting Systems and Staff Management Training. • Owned a Management & Consulting Firm for several organizations and private businesses, 1982-2015. 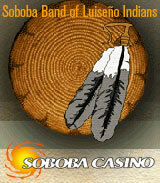 • Successfully managed the Soboba Tribal Gaming Business, 1982-1986. • Developed a 160-acre Citrus Project for the Soboba Tribe with Sun World, Inc., 1986. • Owned and Operated a Community Store on the Soboba Indian Reservation, 1978. • Established and operated a Sand & Gravel Mining business 1982-1983. • Partner in Bail Bonds Business serving LA, Orange, Riverside, and San Bernardino Counties, 1967-1969. • General Sales Manager for a General Motors Dealership in Hemet, CA, 1972-1974. Auto sales, 1970-1972. • Worked every level of employment from entry level as a farm laborer to CEO. • Earned Apprentice Barber License 1961 and Master Barber license 1962. • Owned and operated a Barber Shop in Pico Rivera, CA, 1966-1967. • 1962–Current: Active in Tribal Business Affairs at all management and consulting levels. 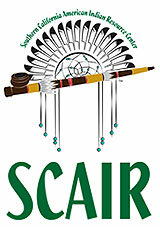 • Current: Southern California American Indian Resource Center (SCAIR). 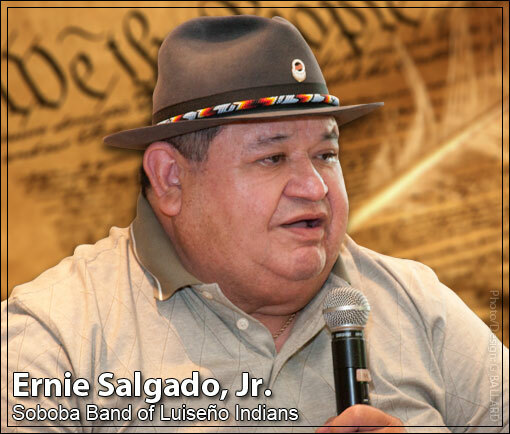 • Served as Tribal Chairman and Councilman for the Soboba Band of Luiseño Indians. • Served as California Representative to the White House Conference on Indian Education, 1990. • Congressional Appointee: Advisory Council on California Indian Policy, represented So. California Tribes, 1995-1997. • Served on the Bureau of Indian Affairs Regulation Review Council for Public Law 93-638, the Indian Self Determination and Education Act of 1975. • Served on the Bureau of Indian Affairs Education Advisory Council, 1978-1990. • Charter member and President, California Indian Center Directors Association, 2004. • Charter Member of the California Indian Education Association, 1961. • Charter Member of the All Mission Indian Housing Authority, 1969. • Charter Member of the Southern California Tribal Chairmen’s Association, Inc., 1971. • San Jacinto Lyons Club member, 1976. • Served on the San Jacinto Unified School District Board of Trustees, 1978-1985. • Served as Riverside County School Board Representative, 1980. 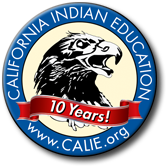 • California Life Time Achievement Award for Indian Education, 2007. • Appointed to California American Indian Education Oversight Committee for California, January 2007.